Cronos Group (NASDAQ:CRON), like most other marijuana-based companies, has recorded an eventful few weeks. Leading up to the anticipation of fully-legal weed in Canada, CRON stock enjoyed an explosive upside rally in August. 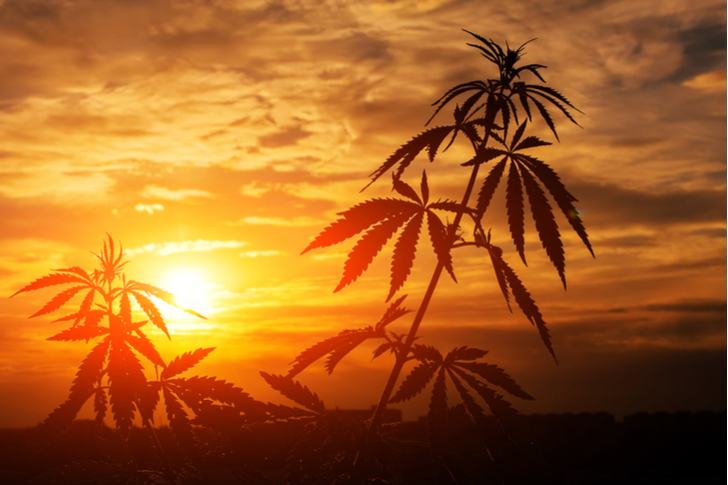 The boost in market capitalization was shared among its peers, most notably Tilray (NASDAQ:TLRY) and Canopy Growth (NYSE:CGC). However, the enthusiasm was short lived. Although Canadian legalization opened the door to a previously non-existent industry (at least from a practical standpoint), several analysts believed that the good news was already well-baked in. Many, if not most of my InvestorPlace colleagues share the same opinion. Give credit to them because so far, they’re right. I’m curious, though, how long their views will remain accurate. Our own Vince Martin has criticized the bonkers valuations that we’re seeing in the marijuana sector. For instance, between the beginning of August and September end, Cronos Group stock gained nearly 83%. But in October, shares dropped a staggering 26%. This back and forth in CRON stock isn’t helping matters for weed newbies. Adding to the woes, Martin points out that it’s next to impossible to competently forecast Cronos Group’s future revenue streams. Too many variables exist, forcing prospective buyers to feel out this sector. Naturally, Martin is skeptical about Cronos Group stock and weed stocks in general. I don’t blame him. As I’ve mentioned multiple times, cannabis isn’t a universal place to park your money. With the near-guaranteed volatility, CRON should be a cryptocurrency. But to be fair, that’s also the opportunity. On election day, CRON stock jumped more than 6%. Many other marijuana stocks have enjoyed similar gains over the past few days. Indeed, November looks like a bright month for CRON and it could get even brighter. Throughout the mainstream media’s coverage of the midterm elections, they focused on the Trump administration. Specifically, if the Democrats won the House and made the Senate a tight race, the movement would symbolically represent a repudiation of Trump. Some of my friends on the left clearly have too much time on their hands. Trump and politicians across the spectrum don’t really care. I’m 100% certain that former President Obama didn’t lose sleep over me voting third party in 2012. That said, marijuana was on the ballot this year, and it will impact your life. This is especially true if you own CRON stock. Several states voted on marijuana-related issues to varying degrees. The most significant are Michigan and North Dakota, which offered proposals to legalize recreational cannabis. In the end, the results were mostly positive for marijuana legalization: residents in Michigan can soon start blazing, Utah and Missouri residents will have medical access, while voters in North Dakota rejected botanical freedoms. Still, from an overall perspective, the midterm elections produced unambiguous victories for marijuana and Cronos Group stock. Michigan became the tenth state to legalize recreational weed. More importantly, it became the first Midwestern state to do so. You’re deluding yourself if you don’t think this sentiment will eventually trickle down to neighboring states. Several times, I have cited the Pew Research Center, which states that American opinion for legal weed has reversed over the past two decades. Today, a strong majority supports legalization. Fundamentally, this shift boosts CRON stock long-term for obvious reasons. Another factor, albeit an underappreciated one, is decriminalization. Multiple jurisdictions have sought lower penalties for marijuana offenses and restoration of rights for those previously convicted. Again, momentum in this department could favorably alter the political landscape for CRON stock. A funny thing about Cronos Group stock is that I agree with the critics more than I disagree. Is CRON a dreadfully volatile investment? Absolutely, it is. Are the fundamentals out of control? On paper, I concede this point. So why am I not as skeptical toward CRON stock as its detractors? I don’t see the counterarguments against the company in an entirely negative light. This is especially true for the fundamentals. If we could easily predict Cronos Group’s growth metrics, the upside potential wouldn’t exist. It’s because this sector is so difficult to call that we have a tremendous opportunity. CRON stock is the very definition of “high risk, high reward.” To pan this company for its unspectacular financials is to complain that a Lamborghini is expensive to maintain. It really comes with the territory. For me, I look at the bigger picture. Political tailwinds will push Cronos Group higher. Canada’s legalization wasn’t strictly about our maple-syrup loving friends. No, think more broadly than that. The world is increasingly becoming progressive, especially toward botany. As Tuesday’s results showed, we’re well on our way. Article printed from InvestorPlace Media, https://investorplace.com/2018/11/cronos-group-stock-jumps-as-weed-wins-election-day/.